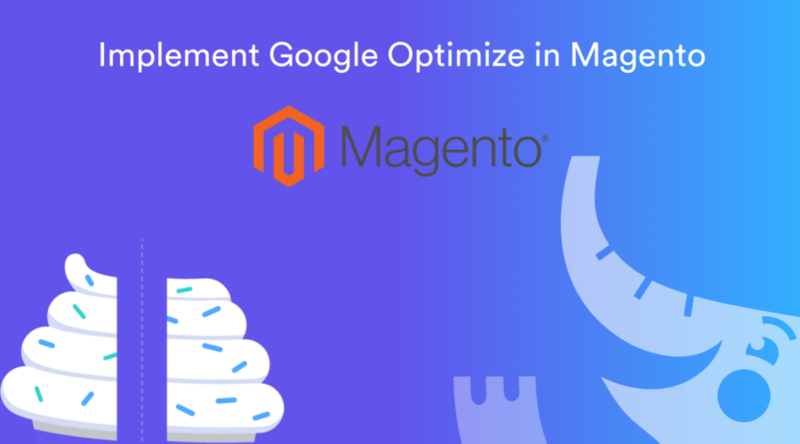 This guide shows how to implement Google Optimize on both Magento 1 and Magento 2 – in minutes. 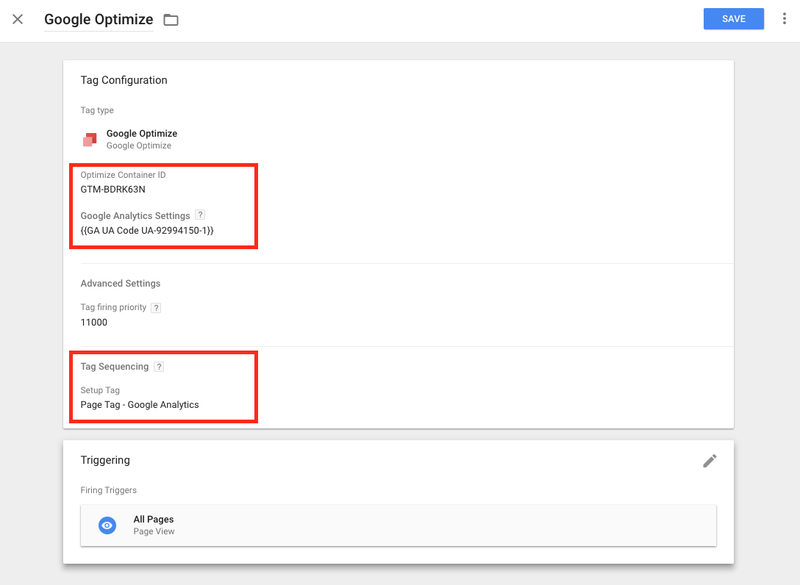 If you aren’t familiar with Google Optimize, it as the free a/b testing tool from Google that is an alternative to Optimizely, Monetate, VWO, among others. There is also a 360 enterprise version that unlocks additional features. I’m a big fan of the free version and actively use it on many existing Magento sites. In your Optimize setup you will be asked to implement the Optimize plugin (shown below in red). 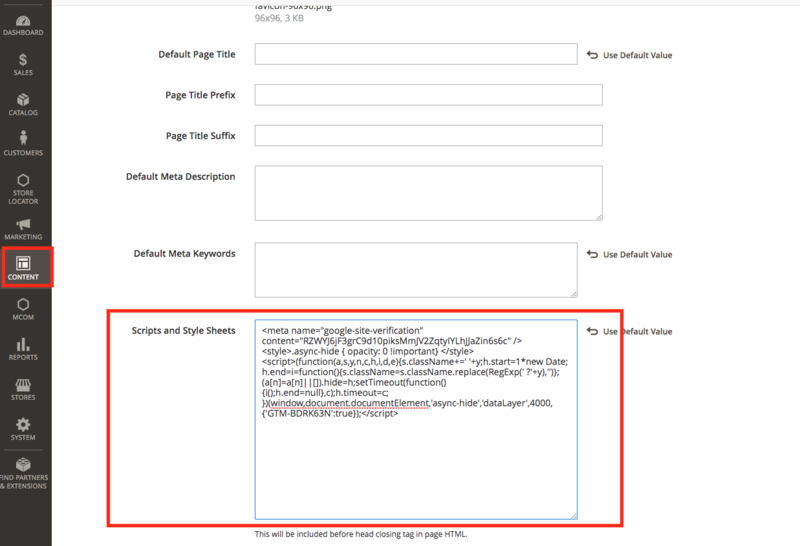 Custom tag sequencing – Setup tag: this should be your sitewide Google Analytics pageview tag. When assigned this means your Google Optimize tag will fire right after your Google Analytics tag. 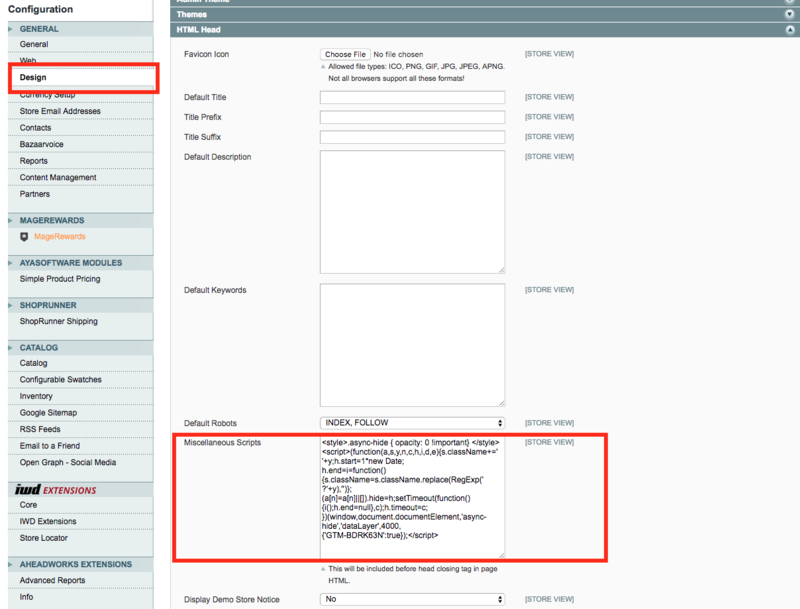 Once that is all set then you can set your trigger of All Pages and this step is complete! If you are using the native Google Analytics pageview tracking then this will require a small change to your tracking script which will require a small code deployment. This needs to be there on every page just like your GA script. This is a recommended step to help minimize “page flickering” that you might see when testing page variations. This code also helps ensure that users on slow connections have a better experience by only showing experiment variants when the Optimize container loads within the set timeout (4 seconds). Again you have a few options to implement this. And then paste this into your HTML Head scripts configuration setting. If you’re a lone wolf and editing code in the admin is the norm then you should be fine. If you’re not a lone wolf and you have a team, agency, or someone else who manages your codebase then consider having them commit this change for you (inserting at top of <head>). While not mandatory, this is better practice to help catch potential bugs when testing on a non-production instance. Test on a staging site first (always). If you have full page cache or other caching mechanisms in place then this might not appear until cache is cleared. 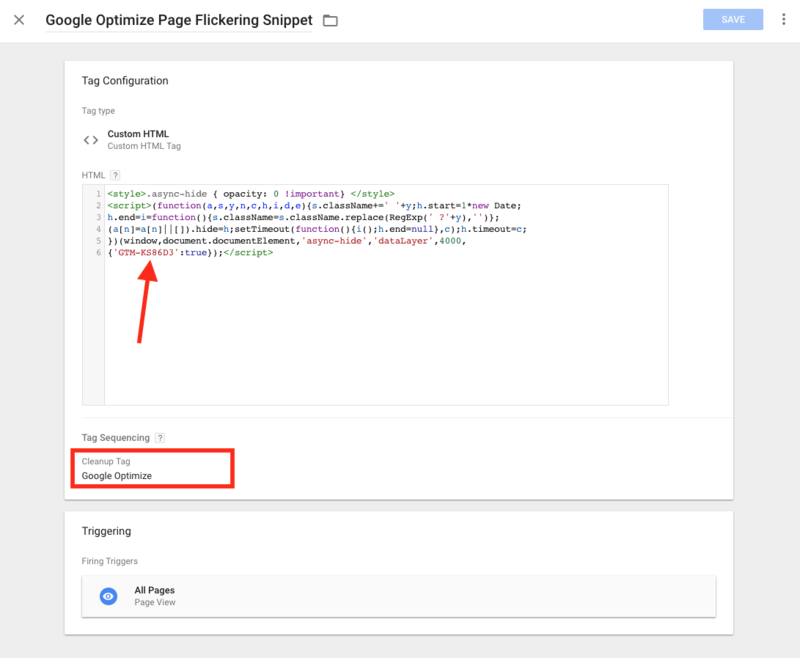 A safe way to implement the page flickering snippet is via Google Tag Manager. 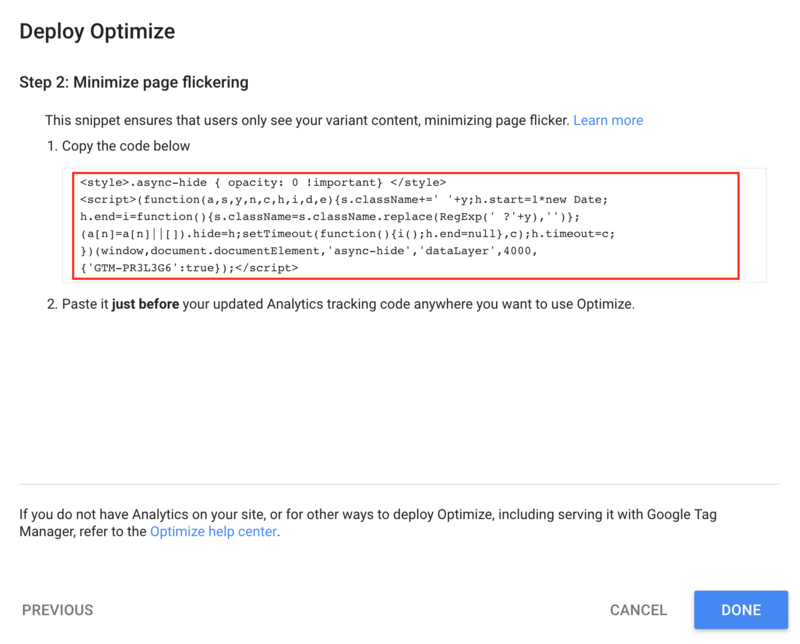 If during step 2 you had to use option b to implement the Optimize plugin then you should also have the page flickering snippet added right above the Google Analytics tracking code. The reason is you need to ensure the page flickering snippet always fires BEFORE your actual Google Optimize plugin. Create a new test in Google Optimize (it can be an A/A test where your variation does not have any changes) to verify it’s working. When you publish your new test then Optimize will likely give you a validation message that everything is good or if there are errors detected. Give it a few minutes to propagate if you don’t see any data right away. You’re now ready to create an experiment in Google Optimize and on your way to becoming a conversion optimization expert :). Modified Analytics tracking code with Optimize plugin. See how Elevar automates insights to create faster data-driven conversion testing ideas.